I used the Craftsman powdercoat gun, it's $40 on amazon. It's definitely not a pro-quality tool, but it seems alright for smaller jobs. It doesn't need an air compressor, but a compressor helps for cleaning up the gun when done. A kid I work with did a valve cover with it, he cured it in an oven at work, it came out decent. Nice work, I really want to get a set up myself. Was eyeing good ol harbor freight for it. Had the itch to coat some more stuff. 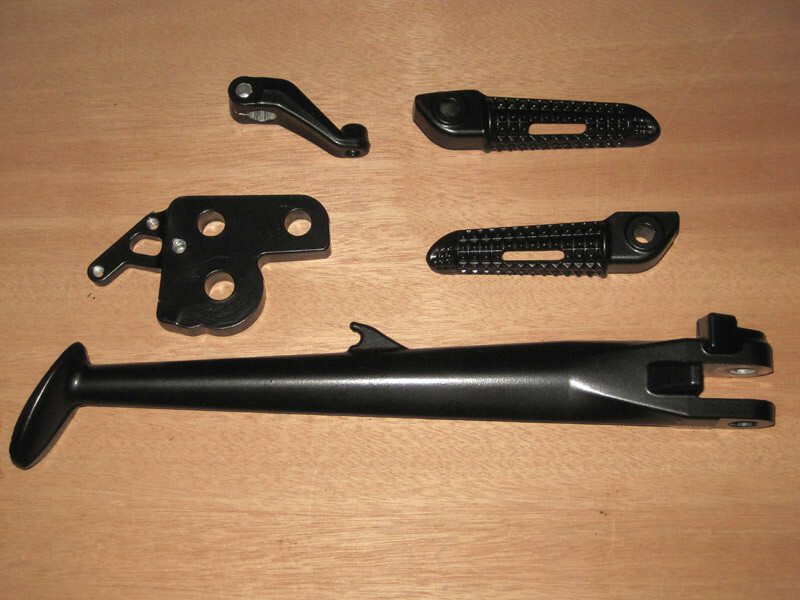 So I did my passenger footpegs and my levers. Next up will be rearsets and front footpegs. -I should've checked some of the clearances for the levers and masked some areas off before coating them, it was a pain scraping off the cured powder in a few areas to reassemble. -Next time I will do a few before and after measurements to get a better idea of how thick the powder is going on. -The tip of the gun should be pretty clean before each use. A coworker did a valve cover with it without cleaning off the old powder from the previous job, and it left some spots/pits in the cured powder. Cleaning it off with an air compressor works well. -I need a regular size oven. I could've done this in a half hour if I could cure all the pieces at once. Instead I spent 2+ hours yesterday doing all these parts individually in the toaster oven. Looks awesome. I really want to get on this over the next winter. 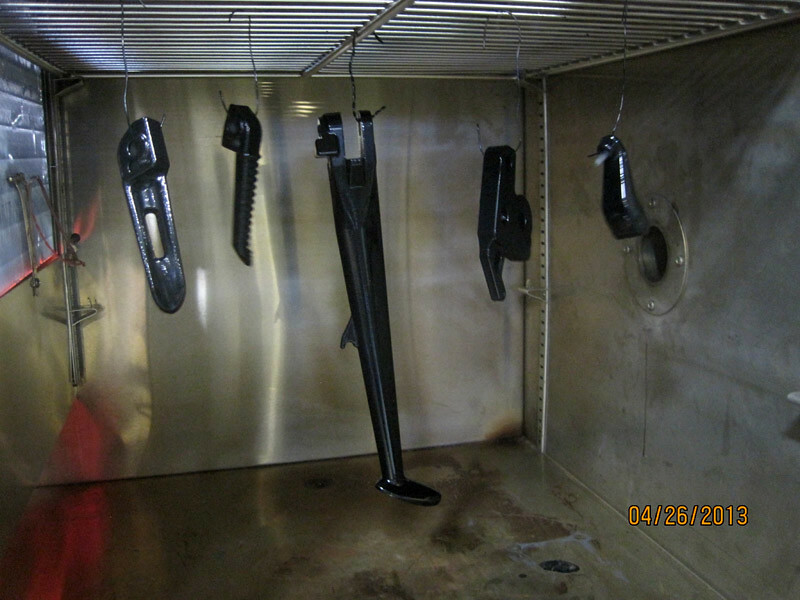 Here's the above milkman's passenger pegs, kickstand, and shift linkage piece curing in the oven at work. I want to do this with a bunch of my 'silver' parts on the triple. 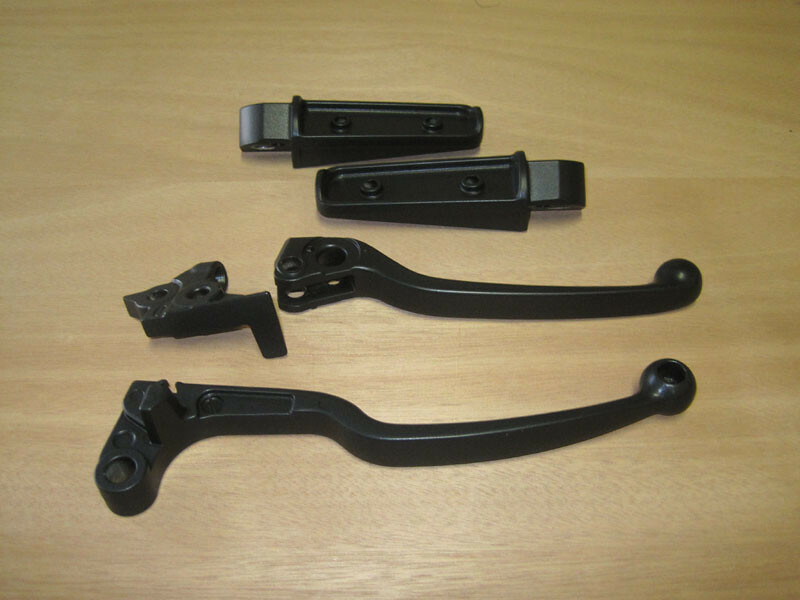 The replacement rearsets I got for mine were already done black. It looked stupid to have Black rearsets, silver/brushed everything else. Over winter I plan on getting my own mini set up fo to the triples gold. 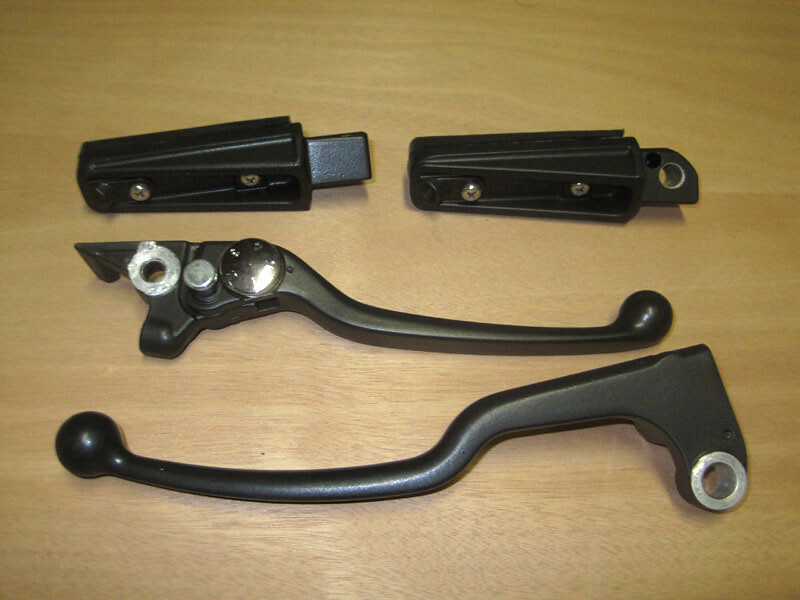 Bar clamps black, buying a set of black rizoma or renthal bars as well as redoing my case covers. Then, new exhaust. My goal is to have an actual pretty Triumph. My rear sets and rad covers are brushed but would look sweet in black. I may have to jump this band wagon.